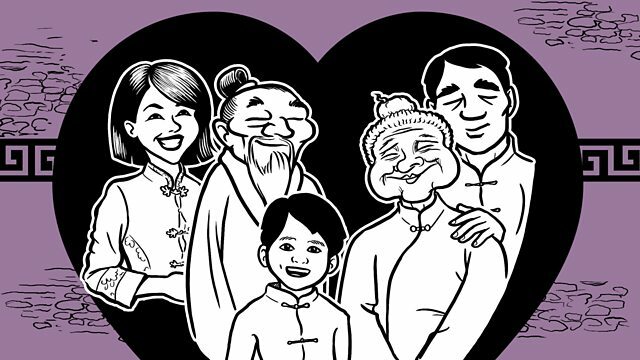 Timothy Secret explores the Confucian practice of ancestor worship and argues that if we are to live well together we must first take proper care of the dead. If we're to live well together we must first learn to live well with the dead, says Timothy Secret. At traditional Chinese funerals money, and sometimes paper effigies of goods like washing machines and aeroplanes are burned so that the dead might be adequately equipped in the afterlife. To the Western onlooker this can feel strange but Timothy Secret believes we have something to learn. For Confucius, the Chinese teacher and thinker, respect for and obedience to your parents is one of the most important rules to follow in life and Frances Wood, an expert in Chinese history and society explains why this applies even after their death: observing proper mourning rituals and then honouring your ancestors through twice yearly grave tending. Darian Leader, a psychoanalyst, sets out how Western attitudes towards mourning and the dead have become disrupted veering between the two extremes of determined "closure" and "moving on" on the one hand and excessive obsession with the dead on the other.